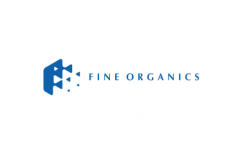 Business description - Fine Organics is the largest manufacturer of oleochemical-based additives in India and a strong player globally in this industry. The company produces a wide range of specialty plant derived oleochemicals-based additives used in the food, plastic, cosmetics, paint, ink, coatings and other specialty application in various industries. As at December 31, 2017, it had a range of 387 different products sold under the ‘Fine Organics’ brand. It is the first company to introduce slip additives in India and is the largest producer of slip additives in the world. In the 12 months ended December 31, 2017, the company had 603 direct customers and 127 distributors from 67 countries. Its direct customers are multinational, regional and local players manufacturing consumer products, such as Hindustan Unilever and Parle Products, and petrochemical companies and polymer producers globally. Its plastics additives and specialty additives are also used in the packaging of foods and other fast moving consumer goods. The company currently has three production facilities: one in Ambernath (Maharashtra); one in Badlapur (Maharashtra); and one in Dombivli (Maharashtra). As at December 31, 2017, these three facilities have a combined installed capacity of approximately 64,300 tonnes per annum. Fine Organics IPO allotment status is now available on Karvy Computershare’s website. Click on this link to get allotment status. it is good ipo or not ????? I have fail to understand why do they are charging so high prices from Small Investors. Sankaran High Priced; PE over 30 times.Can buy post issue,Once price stabilises. Very very expensive. Best to avoid.